Florida is one of the few states where greyhound racing is still legal, but it's also one step closer to protecting the animals involved in the controversial (and often harmful) sport. On Tuesday, state senators approved a bill that would require racetracks to report greyhound injuries, which proponents say will provide much-needed transparency around the danger and cruelty endemic to racing. "Today, the sport of racing of dogs is plainly thoughtless, senseless and cruel, especially with the frequency of death occurring," said Eleanor Sobel, the senator who sponsored the bill. "A racing greyhound dies in Florida every three days. We definitely need better regulations." 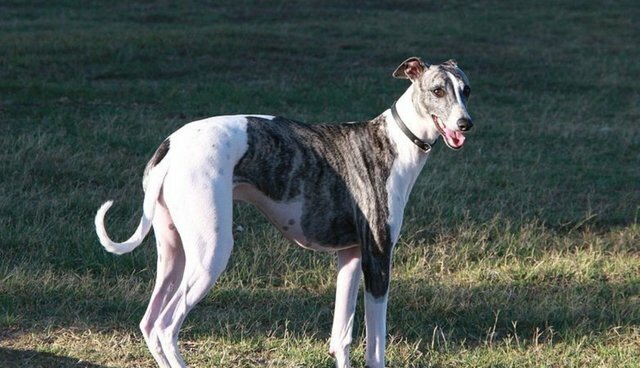 Last May, Florida passed a law requiring dog tracks to report greyhound deaths. A report issued in February showed that 74 dogs died in a six-month period during 2013; 18 dogs already have died since January of this year. According to representatives from the Florida Greyhound Association, the racing industry's most vocal lobbyist in the state, the best way to prevent greyhound injuries is to improve racetrack standards. But, as opponents of racing would have it, the best prevention method actually would be to shut down racetracks altogether.